Follow live text commentary of Arsenal vs Wolves in the Premier League. Kick off is set for 16.30pm GMT. That's all we've got time for here at VAVEL UK. I've been Matt Dawson and thank you very much for joining me. Make sure you check out all of our reports from today's matches. With that result, Arsenal's unbeaten run has stretched to 16 matches in all competitions. However, they have drawn their last three Premier League encounters. Plenty of food for thought for Emery going into the international break. With Manchester City's win over Manchester United this afternoon, the Gunners are now eight points off top spot in fifth. They're now also three points off Spurs who round off the top four. Wolves remain in 11th position. Wolves were brilliant. We know what they are capable of and after losing three matches in a row this was a wonderful response from Nuno Santo's team. They were fantastic on the counter and defended exceptionally well to contain two of the most in-form forwards in the league. They didn't really get going in the second half until the final ten minutes. A game they should have won but plenty of positives for the Midlands side. A hugely entertaining match at the Emirates. Arsenal looked out of ideas for large parts of the game and were very fortunate to come away with a point. Aubameyang missed a huge chance in the second period before Mkhitaryan found the net but Wolves really should have won it late on. Emery will have Leno to thank for keeping his side in the game because without him, they'd have lost. Henrikh Mkhitaryan's late goal has rescued a point for Arsenal but that is a massive let off for the Gunners. Wolves will somehow be wondering how they didn't win that. 95' Wow. Arsenal have been let off hugely again and this time its the bar that denies Wolves. Gibbs-White unleashes a tremendous effort from the edge of the area which comes back off the wood work. Desperately unlucky. 92' Outstanding from Bernd Leno who denies another Wolves attack. Traore uses his remarkable pace to get beyond Holding and then advance into the box. Holding gets back but Traore turns him and then Leno comes out to make a brilliant save. 90' Five added minutes here and the Arsenal coaching staff aren't happy. 88' Break in play here whilst Matt Doherty receives treatment for Wolves. 86' Arsenal finally have a goal! It's come about in unfortunate circumstances for Wolves as the Gunners work a corner short and Mkhitaryan attempts a cross from the left. However, the ball evades everyone and flies into the back of the net. 1-1. 86' Big chance for Aaron Ramsey as Guendouzi chips the ball into him and the Welshman then turns before Patricio makes the save. 85' Morgan Gibbs-White is on in place of Jimenez. 84' Almost a second for Wolves who should have killed the game off. Traore turns on the half way line and plays Jimenez down the right. He squares it to Jota but Leno makes a save to prevent the winger from scoring. 75' Adama Traore is on for Costa in the Wolves camp. Meanwhile, Aaron Ramsey and Henrikh Mkhitaryan are on for Mesut Ozil and Sead Kolasinac for Arsenal. 73' A HUGE miss from Arsenal's most expensive player. Bellerin flashes a ball across goal and Aubameyang simply has to score but somehow puts it wide from a matter of yards out. Sums up the Gunners day. 70' One of Arsenal's best chances of the match as Xhaka cuts in back from the byline and it falls to Bellerin who blazes over on his weaker foot. Poor from the right back. 68' Arsenal still struggling here. There's been no fluency or urgency but they've got just over 20 minutes to change that. 61' Wolves' goalscorer in Cavaleiro is off. On comes Diogo Jota. 60' Finally a shot on target from Arsenal as Torreira unleashes one from range which Patricio puts behind. 54' Torreira tries a speculative effort from range but it was never troubling Patricio. 53' Arsenal's passing has been far more positive at the start of this second half but they're still yet to create anything clear cut. 50' Guendouzi has been keen to get on the ball since being introduced and he picks it up on the left-hand side before driving it in towards the near post but Patricio claims. 46' Look as though Lacazette and Aubameyang are now operating as a front two. A change at the break for Arsenal as Matteo Guendouzi is on for Alex Iwobi. The Gunners have been very open in midfield so far so that will probably be a response to that. However, Iwobi was one of the few to actually drive the side forward in the opening 45 minutes. It's also half-time in the Manchester derby where City currently lead United 1-0, David Silva with the goal there. You can keep up to date with live text commentary of that game too. Here's a stat courtesy of @OptaJoe on Twitter: "Arsenal and Cardiff are the only two teams not to have been ahead at half-time in any of their 12 Premier League matches so far this season." Unai Emery will need some stern words with his players at half time you sense. His team have come to life in the second period of matches this term and they'll have to be vastly improved again after the break if they're to keep their unbeaten run going. Wolves' early goal has played into their hands fantastically well. Since then they've essentially set up with five at the back and as a result, Arsenal have found it incredibly difficult to break them down. There's been no urgency or penetration about the Gunners play at all so far. Ivan Cavaleiro's goal is the difference between the two teams going into the break. 36' This is staggering. Arsenal give it away again. Sead Kolasinac has a wild swipe at the ball which allows Jimenez to gain possession and he then fires a shot wide. 30' Arsenal corner. Can they fashion an opportunity? The answer is yes as the ball falls to Bellerin on the edge of the area after a deflection but sees a shot blocked. 29' Arsenal have been terrible and they give the ball away yet again. Lacazette it is this time who gifts possession back to Wolves before they break once more but the Gunners defence are able to clear. 26' Arsenal are products of their own downfall here as they give it away again on the edge of the area. That presents an opportunity to Costa who looks to bend one but Leno is equal to it and pushes the ball away. 22' A frantic period of play as both teams could have just scored. Arsenal first work it well down the left as Kolasinac picks out Lacazette inside the area but Coady makes a fantastic block to keep Wolves in front. The visitors then turn defence into attack as Helder Costa races forward and forces an excellent save from Leno. This game is incredibly open. 17' Better from the Gunners as they advance through the middle of the pitch and begin to string some passes together. They then work it out wide but Kolasinac's ball in is slightly overhit. 15' Arsenal are dominating possession but as they so often have been in the first halves of games this season have started incredibly slowly. 13' This is absolutely terrible from Arsenal. Kolasinac tries to find Xhaka but for some reason, he completely leaves the ball and Ivan Cavaleiro picks it up. He advances towards the penalty area, finds Jimenez and then he squares it back to him for a tap in from close range. Very sloppy from the Gunners. 11' Ambitious from Wolves as Jimenez tries to lob Leno from range but it's off target and the German stopper claims it easily anyway. 5' A slow opening here. Nothing much doing for either side so far. Underway here at the Emirates. The Last Post currently being played before a minute's silence commences at the Emirates. Teams are out on the pitch and the tributes on this Remembrance Sunday are underway. A reminder that this isn't the only game this afternoon. There is the small matter of the Manchester derby and you can keep up with that one here. Wolves as they so often have been this season are unchanged. However, Diogo Jota does make the bench after originally being a doubt for the match. The impressive Ruben Neves starts in midfield whilst Raul Jimenez once again leads the line. He seemed to cause problems for Spurs last weekend and will have another tough job on his hands this afternoon. Arsenal have made just one change to the side that drew with Liverpool in their last Premier League outing. Alex Iwobi, who has had an impressive period of rejuvenation under Unai Emery is in for Mkhitaryan who drops to the bench. Eddie Nketiah is among the substitutes due to what will likely be a very lengthy absence for Welbeck. Patricio, Bennett, Coady, Boly, Doherty, Neves, Moutinho, Jonny, Costa, Cavaleiro, Jimenez. Subs: Ruddy, Dendoncker, Vinagre, Saiss, Gibbs-White, Traore, Jota. Leno, Bellerin, Mustafi, Holding, Kolasinac, Torreira, Xhaka, Iwobi, Ozil, Aubameyang, Lacazette. Subs: Cech, Sokratis, Maitland-Niles, Guendouzi, Ramsey, Mkhitaryan, Nketiah. We have news of today's team line-ups. It'll be an uphill battle for Wolves to end nearly 40 years of hurt against the Gunners, but with the squad at their disposal now could be the best chance they've had to end that poor record. Join us from around an hour before kick-off for confirmed starting XIs. If you needed any indication over the size of the task facing Wolves this weekend then the key stat to note is that they haven't beaten the north London side since 1979. 19 matches have been played between the two since then. The last meeting was back in 2012, however, when Arsenal defeated them 3-0 at Molineux. Among the goals that day were Robin van Persie, Theo Walcott and Yossi Benayoun. The last meeting at the Emirates finished 1-1 in December 2011. Wolves have struggled in recent week's to replicate their form from the early parts of the season and as a result, their manager has demanded a response following three defeats in a row. "We're not in the best moment but we have to react to it," Nuno Santo said. "We reacted well from the bad performance against Watford, we didn't achieve the result against Brighton or Tottenham but we performed well," he concluded. Wolves have been well known for bringing in Portuguese players in recent times. Their manager is from Portugual, whilst a number of their key stars also come from the Iberian country. Arsenal boss, Emery, had his say on the matter: "Every coach from Portugal, in my experience, is very competitive and they are very organised coaches. They have discipline but also talented players, like at Wolves." Arsenal have so far been untroubled by playing a league match after their European exploits but Emery has been keen to ensure his players remain focused: "It’s about thinking of the next match after finishing the game in the Europa League. Then what’s very important is the Premier League and to complete our process and our progress to be in the best position," he added. The visitors only have one injury concern ahead of their trip to the Emirates on Sunday with talented forward Diogo Jota a doubt. Wolves have fielded unchanged line-ups for the vast majority of the season and it's unlikely they'll make many again against Arsenal despite defeat to Spurs. 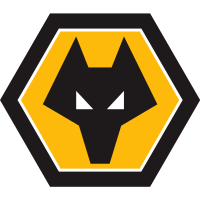 Nuno Santo, however, may be tempted to field teenager Morgan Gibbs-White from the start who was influential in Wolves' second-half performance last weekend. Mohamed Elneny, Laurent Koscielny and Konstantinos Mavropanos will be absent for the Gunners. Nacho Monreal, who has been out for the last few weeks, is still being assessed ahead of the match. Stephan Lichtsteiner was another injury casualty from the Sporting game after being substituted with an apparent hamstring problem. He will be assessed before being determined whether he makes the squad. Alexandre Lacazette, Mesut Ozil, Granit Xhaka, Lucas Torreira, Bernd Leno and Hector Bellerin should all return after sitting out in midweek. Arsenal will be without Danny Welbeck for the visit of Wolves. The forward suffered a very serious ankle injury against Sporting with the club set to give a full update on the severity of his issue over the weekend. Welbeck went down rather innocuously but fell awkwardly as he went up for a header. Oxygen had to be applied before he was stretchered off and taken to hospital. It may have been a frustrating midweek week but two of Arsenal's players won individual awards on Friday. Pierre-Emerick Aubameyang was given the Premier League Player of the Month award for his five goals throughout Ocotber. Aaron Ramsey, a player who struggled on Thursday night, was meanwhile rewarded with the Premier League Goal of the Month for Arsenal's fantastic team goal against Fulham. Wolves hitting a stumbling block? Nuno Santo's team have been a joy to watch since their promotion from the Championship last season. They play an attractive brand of football which could cause problems for Arsenal on Sunday afternoon. However, their impressive start has hit a bit of a brick wall having lost their last three Premier League matches. Spurs appeared to be cruising to a 3-0 win over Wolves last weekend, only for the Midlands club to score twice and almost cause a scare. They currently sit in 11th place going into this weekend's round of fixtures. Arsenal to keep unbeaten record going? 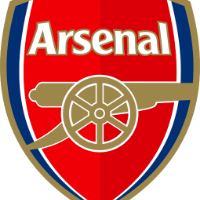 The Gunners come into this off the back of having not lost a match in 15 outings. The last time they suffered defeat was back in August when they lost to Chelsea. Arsenal drew in midweek against Sporting in the Europa, in what was one of their poorest displays in recent memory. However, there were plenty of changes from the usual Premier League starting XI as they struggled to find their rhythm. Unai Emery's team will be keen to get back to winning ways, though, having drawn their previous two league matches with Crystal Palace and Liverpool. 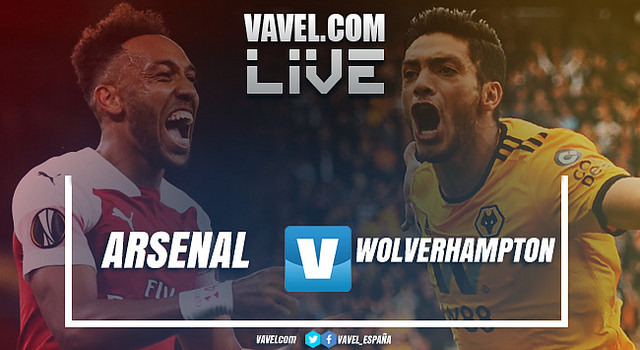 Hello and welcome to VAVEL UK's live text commentary of Arsenal vs Wolves in the Premier League. I'm Matt Dawson and I'll be taking you through all of the build-up before kick off which is at 4.30pm. Make sure you stick with us.